Peter Holbrook is Professor of Shakespeare and English Renaissance Literature at the University of Queensland, and Director of the UQ Node of the Australian Research Council Centre of Excellence for the History of Emotions (Europe 1100-1800). Peter’s research has focused on political, social, and philosophical aspects of English Renaissance literature, and on how numerous writers and thinkers of the nineteenth and twentieth centuries (including Nietzsche, Thomas Hardy, and T.S. Eliot) have engaged with Shakespeare. He is the author of Shakespeare’s Individualism (Cambridge: Cambridge University Press, 2010); Literature and Degree in Renaissance England: Nashe, Bourgeois Tragedy, Shakespeare (Newark, N.J. and London: University of Delaware Press, 1994); and English Renaissance Tragedy: Ideas of Freedom (London: Bloomsbury/Arden Shakespeare, 2015). He is editor of a special issue of The Shakespearean International Yearbook entitled Shakespeare and Montaigne Revisited, and co-editor, with David Bevington, of The Politics of the Stuart Court Masque (Cambridge: Cambridge University Press, 1998). Shakespeare's Creative Legacies: Artists, Writers, Performers, Readers was co-edited with Paul Edmondson and appeared with Bloomsbury/Arden Shakespeare in 2016. At the University of Queensland, Peter has taught a wide range of English literature from the medieval period to the present, including Shakespeare; Chaucer; Milton; tragedy; Romanticism; the history of literary criticism; Renaissance and other drama; and modern and contemporary writers. He has supervised numerous Honours and Postgraduate dissertations on a variety of topics. 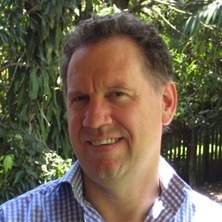 He has contributed to public debates on the teaching of English in Australia, serving as a member of the Learning Area Reference Committee (English) for the Queensland Studies Authority, from 2010 to 2011, and as a member of the Literature Board of the Australia Council for the Arts, from 2006 to 2009. His work on literature and education has appeared many times in Australian print media and via broadcasts on ABC Radio National, and he has reviewed numerous academic publications for the Times Literary Supplement and other journals. He is a Fellow of the Australian Academy of the Humanities; a Chief Investigator with the ARC Centre of Excellence for the History of Emotions (Europe 1100-1800); and he served as Chair of the International Shakespeare Association from 2011-2017. He is currently a member of the Association's Executive Committee. Holbrook, Peter (2011). Thomas Hardy. In Adrian Poole (Ed. ), Scott, Dickens, Eliot, Hardy: Great Shakespeareans (pp. 139-183) London, United Kingdom: Continuum International Publishing Group. Holbrook, Peter (2003) Shakespeare as a force for good. Shakespeare Survey, 56 56: 203-214. Shakespeare’s Creative Legacies: Artists, Writers, Performers, and Readers. Edited by Paul Edmondson and Peter Holbrook London, United Kingdom: Bloomsbury/Arden Shakespeare, 2016. Holbrook, Peter English Renaissance tragedy: ideas of freedom. London, United Kingdom: Bloomsbury/Arden Shakespeare, 2015. Shakespeare and Montaigne revisited. Edited by Graham Bradshaw, Tom Bishop and Peter Holbrook Aldershot, Hampshire, U.K.: Ashgate Publishing Limited, 2006. The Politics of the Stuart Court Masque. Edited by David Bevington and Peter Holbrook Cambridge United Kingdom: Cambridge University Press, 1998. Holbrook, Peter Literature and degree in Renaissance England: Nashe, bourgeois tragedy, Shakespeare. Newark, DE, United States: University of Delaware Press, 1994. Holbrook, Peter (2017). Foreword. In Andrea Bubenik (Ed. ), Ecstasy: baroque and beyond (pp. 8-9) Brisbane, Australia: University of Queensland Art Museum. Holbrook, Peter (2017). Shakespeare and philosophy. In Jill L. Levenson and Robert Ormsby (Ed. ), The Shakespearean world (pp. 512-527) New York: Routledge. Holbrook, Peter (2017). Stevenson’s metaphysics. In Richard J. Hill (Ed. ), Robert Louis Stevenson and the great affair: movement, memory and modernity (pp. 27-40) London: Routledge. Edmondson, Paul and Holbrook, Peter (2016). Introduction: Great creating shakespeare. In Paul Edmondson and Peter Holbrook (Ed. ), Shakespeare’s creative legacies: artists, writers, performers, readers (pp. 1-9) London, United Kingdom: Bloomsbury Arden Shakespeare. Edmondson, Paul and Holbrook, Peter (2016). Introduction: great creating Shakespeare. In Paul Edmondson and Peter Holbrook (Ed. ), Shakespeare's creative legacies: artists, writers, performers, readers (pp. 1-7) London, United Kingdom: Bloomsbury Publishing. Holbrook, Peter (2016). Materialist and Political Criticism. In Bruce R. Smith (Ed. ), The Cambridge Guide to the Worlds of Shakespeare (pp. 1774-1781) Cambridge: Cambridge University Press. Holbrook, Peter (2015). Afterword. In Richard Meek and Erin Sullivan (Ed. ), Renaissance of emotion: understanding affect in Shakespeare and his contemporaries (pp. 264-272) Manchester, England: Manchester University Press. Holbrook, Peter (2014). Foreword. In Andrea Bubenik (Ed. ), Five centuries of melancholia () Brisbane, Australia: University of Queensland Art Museum. Holbrook, Peter (2014). Nietzsche's Shakespeare. In Jennifer Ann Bates and Richard Wilson (Ed. ), Shakespeare and Continental Philosophy (pp. 76-93) Edinburgh, United Kingdom: Edinburgh University Press. Holbrook, Peter (2012). “Thy Servant Still”: Program Note. In Maria Aberg (Ed. ), Royal Shakespeare Company production of King John () Stratford-upon-Avon, United Kingdom: Swan Theatre. Holbrook, Peter (2008). Shakespeare and self-creation. In Dahiya, Bhim S. (Ed. ), Shakespeare's Intellectual Background (pp. 151-164) New Delhi: Viva Books Private Limited. Holbrook, Peter (2006). Ian Fairweather: Vision and abandonment. In S. Alderton (Ed. ), Ian Fairweather: An Artist of the 21st Century (pp. 5-10) NSW: Lismore Regional Gallery. Holbrook, Peter (2006). Introduction. In Graham Bradshaw and Tom Bishop (Ed. ), The Shakespearean International Yearbook: Special section, Shakespeare and Montaigne Revisited (pp. 5-20) Aldershot, Hants, England ; Burlington, Vt.: Ashgate. Holbrook, Peter (2003). Class X: Shakespeare, Class and the Comedies. In R. Dutton and J. Howard (Ed. ), A Companion to Shakespeare's Works, Volume III: The Comedies (pp. 67-89) Oxford, England: Blackwell. Holbrook, Peter (2003). Dark Shakespeare. In Graham Bradshaw, John M. Mucciolo, Tom Bishop and Angus Fletcher (Ed. ), The Shakespearean International Yearbook: Where are we now in Shakespearean studies? (pp. 115-127) Surrey, U.K.: Ashgate Publishing. Holbrook, Peter (2002). Shakespeare at the Birth of Historicism. In P. Kelly (Ed. ), The Touch of the Real: Essays in Early Modern Culture (pp. 22-37) Crawley, WA: University of Western Australian Press. Bevington, David and Holbrook, Peter (1998). Introduction. In David Bevington and Peter Holbrook (Ed. ), Politics of the Stuart Court Masque (pp. 1-20) Cambridge United Kingdom: Cambridge University Press. Holbrook, Peter (1998). Jacobean pacifism and Jacobean masques. In David Bevington and Peter Holbrook (Ed. ), The Politics of the Stuart Court Masque (pp. 67-87) Cambridge United Kingdom: Cambridge University Press. Holbrook, Peter (2016) 'The reformation of emotions in the age of Shakespeare'. Modern Philology, 114 2: E94-E96. Holbrook, Peter and Ashburner, Xanthe (2016) Shakespeare unfinished. Perth, WA, Australia, Australian Research Council Centre of Excellence for the History of Emotions. Holbrook, Peter (2015) Hamlet and melancholy essay. Globe to Globe Hamlet, . Peter Holbrook (2015) BOOK REVIEW. Radical Shakespeare: Politics and Stagecraft in the Early Career. Modern Philology: Critical and Historical Studies in Literature, Medieval through Contemporary, 113 1: E26-E29. Holbrook, Peter (2013) Tradition, authority, and innovation in literary teaching and learning. English in Australia, 48 2: 79-89. Holbrook, Peter (2012) Thinking with Shakespeare: Essays on politics and life. TLS: The Times Literary Supplement, 5691: 28-28. Holbrook, Peter (2011, October 05). Writing and freedom: reading as a radical act. The Australian Literary Review, p.12-13. Holbrook, Peter (2009) Review: Shakespeare in Theory and Practice. The Times Literary Supplement, 207-207. Holbrook, Peter (2007) What happened to Burke?. The Times Literary Supplement, 5441: 11-12. Holbrook, Peter (2006) Review of Curtis Perry, Literature and Favouritism in Early Modern England. Times Literary Supplement, . Holbrook, Peter (2006) Review of G. A. Sullivan, Patrick Cheney, and Andrew Hadfield, eds. Early Modern English Drama: A Critical Companion. Times Literary Supplement, . Holbrook, Peter (2006) Review of Ros King, Cymbeline: constructions of Britain. Times Literary Supplement, . Holbrook, Peter (2006) Shakespearean immoral individualism: The example of Gide. AUMLA: Journal of the Australasian Universities Language and Literature Association, 106 106: 149-161. Holbrook, Peter (2005) An earthy Muse: Review of The First and Second Parts of King Edward IV by Thomas Heywood (edited by Richard Rowland). Times Literary Supplement, 25-25. Holbrook, Peter (2005) Electroplate bard: Review of Victorian Shakespeare, 2 volumes edited by Gail Marshall and Adrian Poole. Times Literary Supplement, 26-26. Holbrook, Peter (2005) Anne Wallace: Painting and awareness. Heat, 9 139-160. Holbrook, Peter (2004) William Shakespeare: 'The Merchant of Venice'. Australasian Drama Studies, 45 180-183. Holbrook, Peter (2004) Review of Shakespeare, Law and Marriage by B J Sokol and Mary Sokol. Times Literary Supplement, 28-29. Holbrook, Peter (2004) In Brief: Book Review of 'Hamlet' and the Visual Arts, 1709-1900 by Alan R. Young. , 28-28. Holbrook, Peter (2001) Poetry and Sadness. HEAT, One 133-143. Holbrook, Peter (1999) Review of Geoffrey H Hartman: The Faceful Question of Culture. AUMLA: A Journal of the Australasian University Language & Literature Assn, 92 November: 145-147. Holbrook, Peter (1999) Review of R. S. White, 'Natural Law in English Renaissance Literature'. Southern Review, 32 1: 94-97. Holbrook, Peter (2016, April 22). We can replicate Shakespeare’s educational utopia. The Australian, . Holbrook, Peter (2016, February 26). Letter to a Student. Sydney Review of Books, . Holbrook, Peter (2012, September 14). Rev. of Richard Strier, The Unrepentant Renaissance. Times Literary Supplement, . Holbrook, Peter (2009, May 22). 'About love' by Peter Holbrook, reviewing Catherine Belsey's book 'Shakespeare in theory and practice'. The Times literary supplement, p.207-207. Holbrook, Peter (2007, August 01). Lost literature refound. The Australian: The heart of the nation, . Holbrook, Peter (2007, July 13). “What Happened to Burke?”. Times Literary Supplement, p.11-12. Holbrook, Peter (2006, December 01). On your own with life's hard questions. Australian Financial Review, p.4-5. Holbrook, Peter (2006, December 01). Peter Holbrook: Literary paradise may soon be lost. The Australian: The heart of the nation, . Holbrook, Peter (2005, February 19). A man of his time: Review of Will in the World: How Shakespeare became Shakespeare by Stephen Greenblatt. The Courier Mail, p.M08-M08. Holbrook, Peter (2004, October 08). Review of David Riggs, The World of Christopher Marlowe & Frank Kermode, The Age of Shakespeare. The Australian Financial Review, . Review of Martin Amis, "Yellow Dog"
Holbrook, Peter (2003, October 24). Review of Martin Amis, "Yellow Dog". The Australian Financial Review, . Review of James Wood "The Book Against God"
Holbrook, Peter (2003, July 11). Review of James Wood "The Book Against God". The Australian Financial Review, . The Critique of RationalAgency in Marx, Nietzche and Freud and its Origins in Greek and Shakespearean Tragedy.